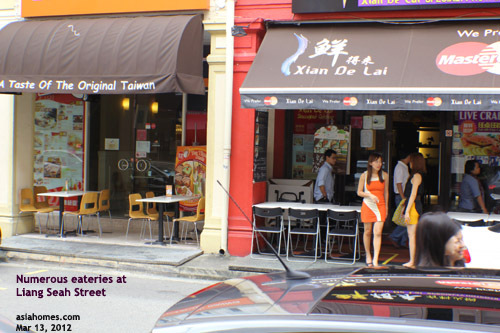 1 Liang Seah Street. Completed: 1997. 30 units in a conservation shophouse neighbourhood. 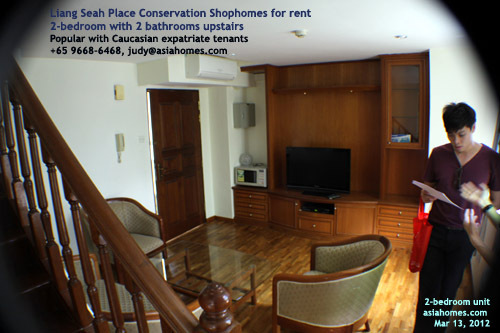 Fully furnished and air conditioned apartments are on the 3rd, 4th and 5th floor, served by lifts. A "mixed development" of commercial and residential units. An attractive 5-storey restored building with restaurants, shops and office on the first and second levels and apartments on the 3rd and 4th level. Living/dining area - wooden strips. Exclusive private lobby in private entrance. 2 lifts for residents only to 3rd and 4th storey where the apartments are located. 24-hour security guard at lobby and card access. 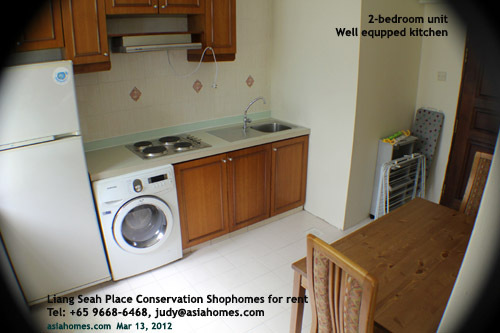 Fully air-conditioned apartments and furnished. A small gymnasium. A roof garden to be completed in 2012. Car parking lots limited. Fees payable. Intercom screening for visitors and guests. 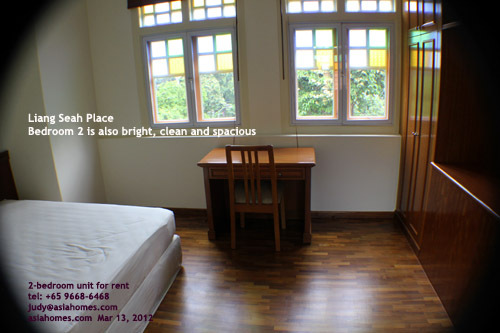 Landlord will recommend house-keeping service which will be paid by the prospective tenants at $50-$70/week. 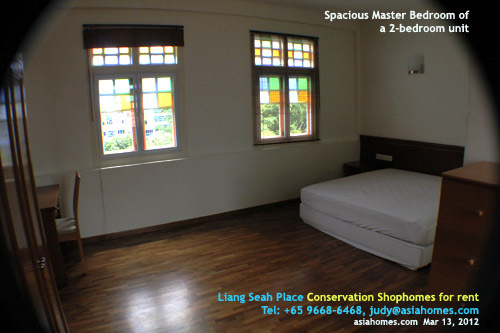 Attracts the single expat who wants to be as close to Suntec City and subway as possible. 1. 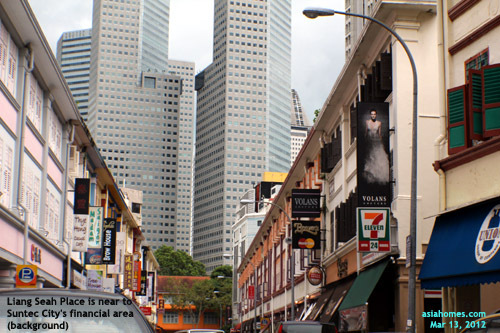 Walking distance (5-minute walk) to Bugis subway which is one stop to City Hall subway and to Suntec City, Millennia Towers are located. 2. <15-minute walk to Suntec City but be prepared for a humid sweating walk if you want to walk in the afternoon. 3. Food and beverage outlets including McDonald's, KFC and Parco Junction shopping mall with supermarket within <5 minutes walk. 4. Wake up late and go to work in Suntec City within 15 minutes. 5. Many taxis and buses ply this area. 6. Immediate on-site maintenance service. Minor repairs and air-conditioned maintenance are included in the rental. GST is not charged fully at 7% of rentals as it is charged only on the furniture. 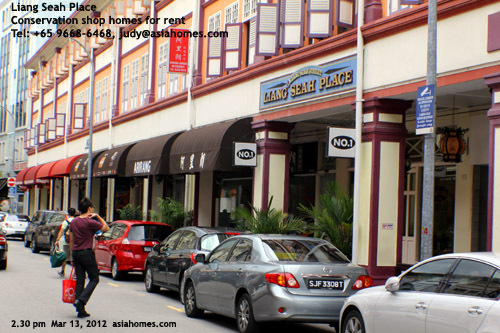 Therefore rental is lower for prospective expatriate tenants compared to other places. Stamp duty on tenancy agreement is payable by the Tenant. 2. No land or garden grounds. 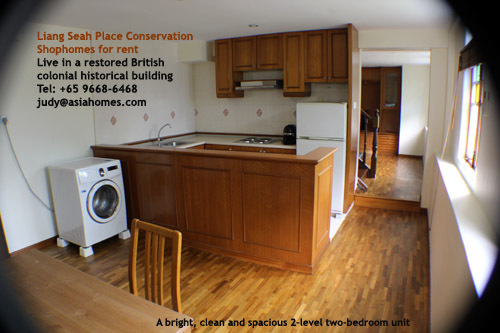 Will suit single expats working in Raffles Place/Suntec City as they usually want convenience and eateries nearby. 3. 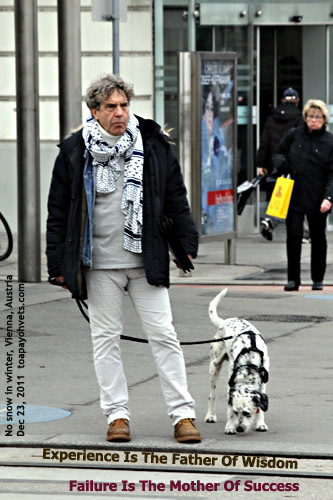 Not appropriate for expatriates with children. 2-bedroom + 2 or 3 bathrooms 1173 sq ft $4,200 - 4,500 (depending on floor area). 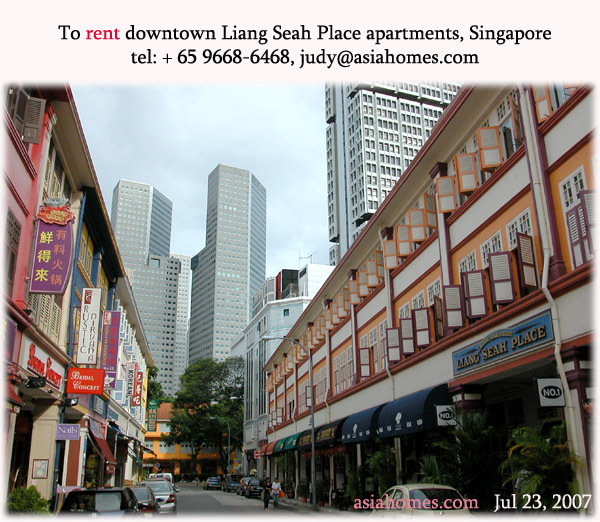 Liang Seah Court is across the road from Liang Seah Place. 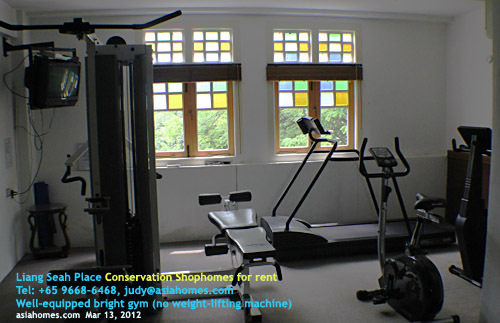 There are some similar 2-level conservation apartments for rent at various times. To rent for 3 months or shorter than 12 months, the rental will be higher than for one-year lease. 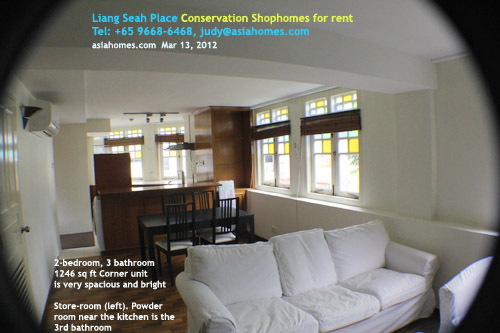 Do let us know by e-mail judy@asiahomes.com or phone +65 9668-6468 so that we can negotiate the best rates for you.